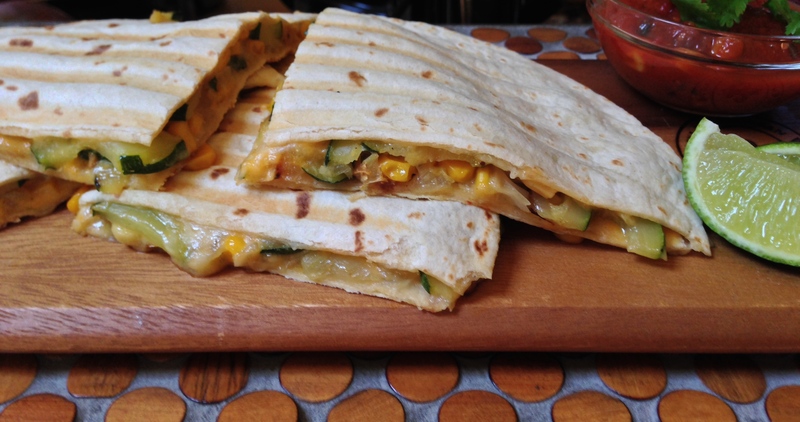 Quesadilla is a flour or a corn tortilla filled with a savory mixture containing cheese,other ingredients,and /or vegetables,then folded in half to form a half-moon shape. Preheat oven to 400 degrees. In a large skillet, heat 3 tablespoons oil over medium heat. Add onion and 1 teaspoon salt; cook, stirring occasionally, until onion is soft, about 5 minutes. Stir in garlic; cook 1 minute more. Add zucchini and frozen corn kernels; cook, stirring occasionally, until zucchini is soft and corn is tender, about 6 minutes. Remove from heat; stir in cilantro, if using. Brush one side of all tortillas with remaining tablespoon oil; lay 2 tortillas, oiled side down, on a baking sheet. Place half of the filling on each, and sprinkle with half the cheese. Place remaining 2 tortillas on top, oiled side up; press down gently with a spatula to seal. 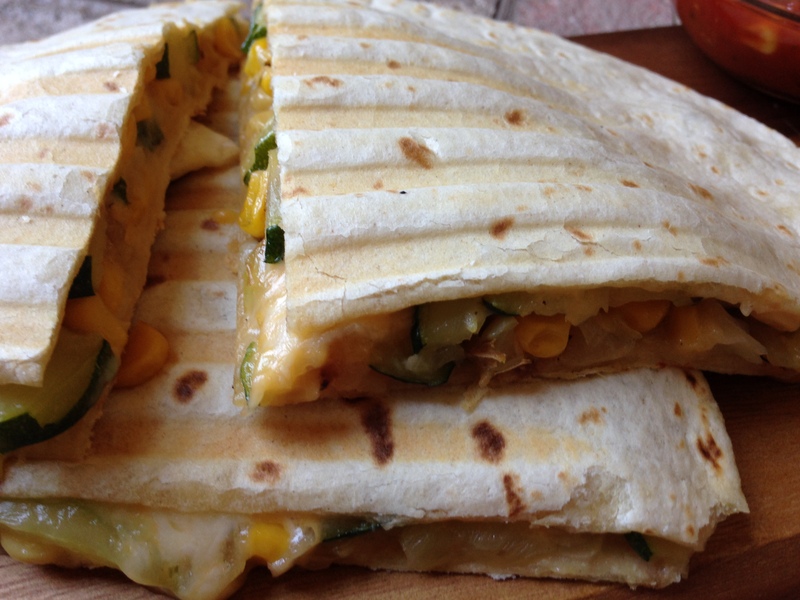 Bake until cheese has melted and tortillas are golden brown, turning once, about 10 minutes. Remove from oven; let cool slightly. 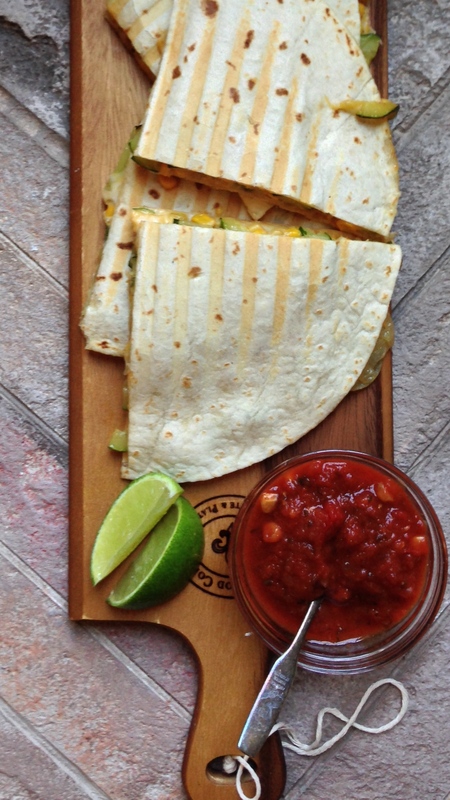 To serve, slice each quesadilla into wedges.